As the seasons change, we’re most excited for one thing: updating our wardrobes. This fall has us obsessing over wild accessories, detailed blazers and statement sweaters. We’ve styled three of our favorite trends to give you some seasonal outfit inspiration! 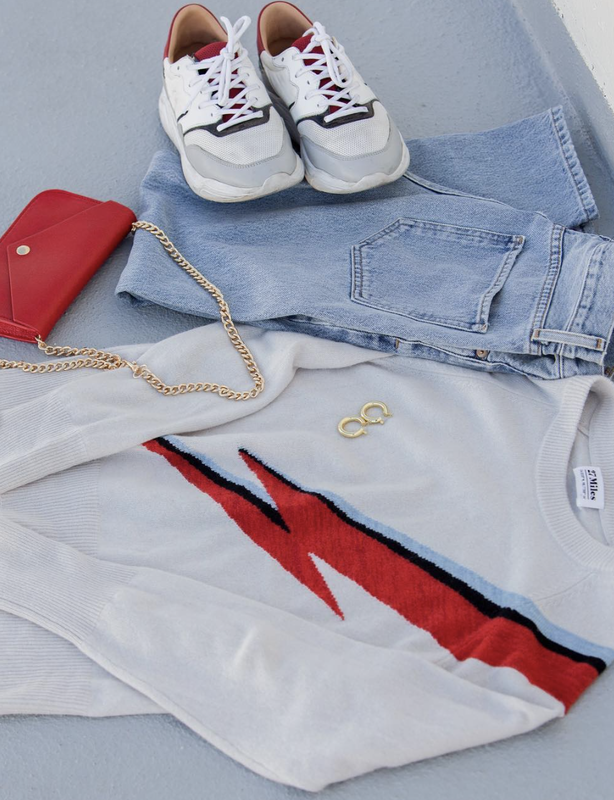 Graphics are always a go-to. But as temperatures drop, we’ve been looking for a fresh (and warmer) play on our favorite band tees. Luckily, this season is serving up graphics in the best way: sweaters. 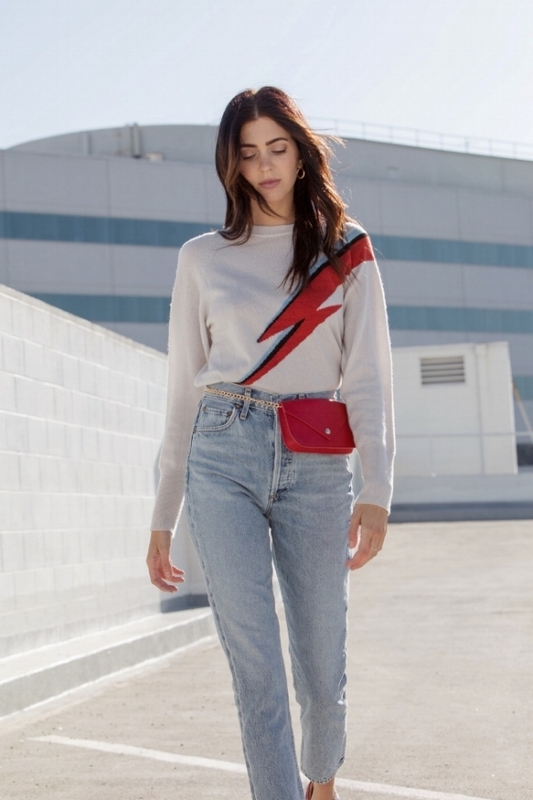 The David Bowie inspired Oddity Crew Sweater and The Gia Chain Bag. Blazers are wardrobe staple- but, sometimes they can get a little boring. Enter: embellishment and prints. We LOVE this seasons blazer styles because they provide a fun, innovative take on a classic style. We’re obsessed with this Donna Mizani Embellished blazer. Kaitlynn Carter styled this piece with a simple white turtleneck and a bold belt. This look can be easily taken from day to night- just add a heeled booties like the Tinsel from Matisse. Kelsey White styled this blazer-style coat in true LA fashion: with a skirt. Because FORAY is LA based, we often struggle to wear our fall fav’s when it’s sunny and 75. This look is proves that seasonal trends and weather don’t necessarily have to be copacetic. its perfect for any occasion! It’s all in the details. Accessories may be our favorite part of styling an outfit because they have the power to take any look to the next level. This seasons accessories are bold. Animal prints, large belts, and printed bags are both on and off the runway this fall- and we couldn’t be happier. This Nation LTD coat is a fall staple. We dressed it up with a statement belt from B-low the Belt and topped it off with killer cheetah bag. Let these trends be the excuse you were looking for to spice up your seasonal wear.